If it’s not nailed down, someone will take it. So nail down your motorcycles, Chicago. 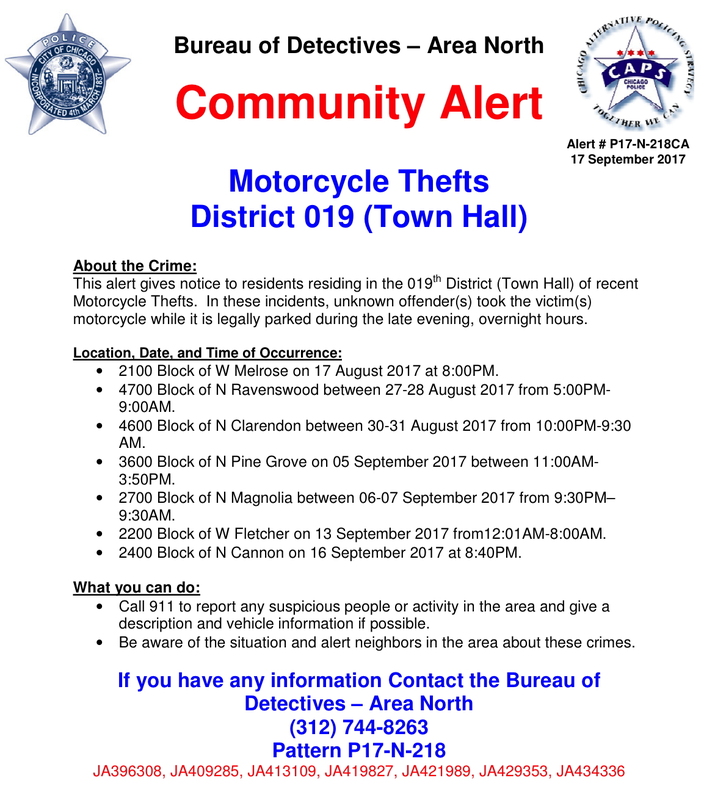 Police on Sunday warned that thieves are stealing entire motorcycles from parking spaces on North Side streets. The thefts have happened at all times of day.